AN EXTREMELY short-lived parliamentary candidate for the Labour Party has resigned a week after being suspended for posting controversial remarks on social media. Last week the News & Mail reported how Vicki Kirby slammed Israel on Twitter, calling it ‘evil’, questioning ‘why the Islamic State hadn’t yet attacked it’, and saying she would make sure her kids knew ‘how evil Israel is’. She also tweeted that Hitler might be the ‘Zionist God’. Her inappropriate tweets had caused a huge backlash in condemnation of her comments. 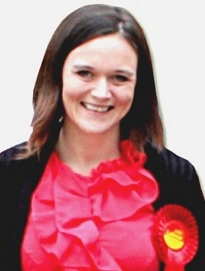 Less than a week after the Woking Labour Party had announced Kirby as their candidate, the 34-year-old mother of two was ‘suspended with immediate effect’ by the national party. Kirby had been on her way to a Labour Party conference in Manchester when she received the phone call. Woking Liberal Democrat Parliamentary Spokesman Chris Took said: “I am pleased by the news that Vicki Kirby has seen sense and resigned. “The messages she posted on social media were grossly offensive and have no place in politics or society in general. I am staggered at how both the national and local Labour Party considered her to be an appropriate person for selection.